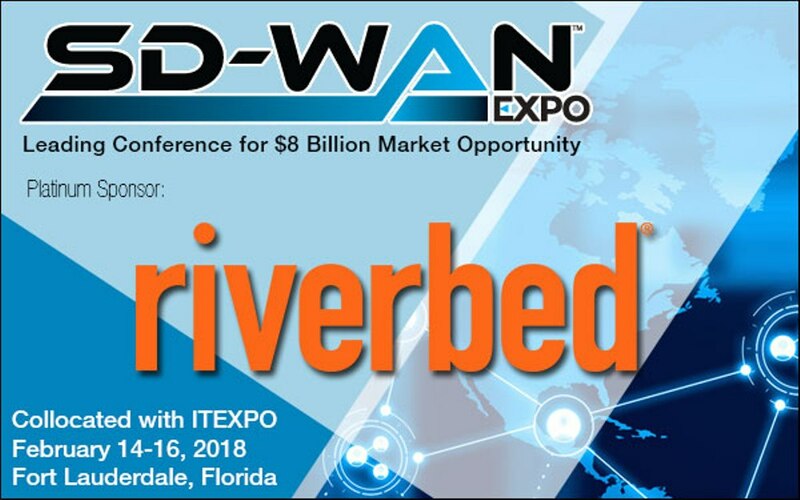 Trumbull, CT – January 9, 2018 – TMC today announced Riverbed (News - Alert) has signed on as a platinum sponsor to SD-WAN Expo being held February 14-16, 2018 at the Greater Ft. Lauderdale/Broward County Convention Center in Fort Lauderdale, Florida. At SD-WAN Expo, enterprise executives, service providers, and technology vendors will connect to learn about and discuss how this market is growing and evolving, and how all three of these constituencies can make the most of the SD-WAN opportunity. Collocated with ITEXPO (News - Alert), one of the largest remaining communications and technology conferences in the world, SD-WAN Expo is the dedicated forum for the industry to come together and learn. Riverbed enables organizations to modernize their networks and applications with industry-leading SD-WAN, application acceleration, and visibility solutions. Riverbed’s platform allows enterprises to transform application and cloud performance into a competitive advantage by maximizing employee productivity and leveraging IT to create new forms of operational agility. During the show, Riverbed will highlight the power of SteelConnect, an unmatched SD-WAN solution that provides unified connectivity and policy-based orchestration spanning the entire network – LAN/WLAN (including Riverbed Xirrus WiFi), WAN, data center and the cloud, with one-click connectivity to Microsoft (News - Alert) Azure and AWS. Registration for SD-WAN Expo is now open. For more information on SD-WAN Expo, contact events@tmcnet.com. For media inquiries, contact Jessica Seabrook. Companies interested in exhibiting, sponsorship or advertising packages for SD-WAN Expo should contact TMC (News - Alert)'s Joe Fabiano at 203-852-6800 x132 or Maureen Gambino at 203-852-6800 x109.